Maintaining a beautiful lawn in Chicago or any of its nearby suburbs can be a hassle when tending to traditional sod. Natural grass requires frequent watering, trimming, weed control, and all the other nuisances that come with lawn maintenance. Artificial turf is one solution that Chicago residents can enjoy and is made with our unique 3D technology to make it exceptionally soft, yet incredibly resilient! Our synthetic grass is so life-like, you need to see and feel it to believe it! Artificial grass makes the perfect landscaping solution for those hard-to-maintain areas due to shade, heavy-foot traffic or pet spaces. Enjoy watching your children play outdoors again and enjoy the feel of the grass-like product! 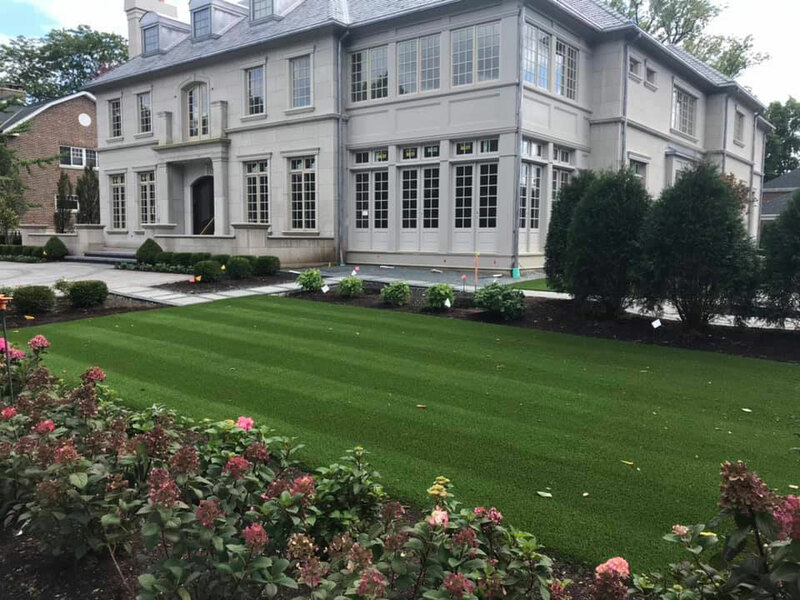 Synthetic Turf of Illinois is the first professional company in the industry to install artificial grass for Chicagoland homeowners and commercial properties. 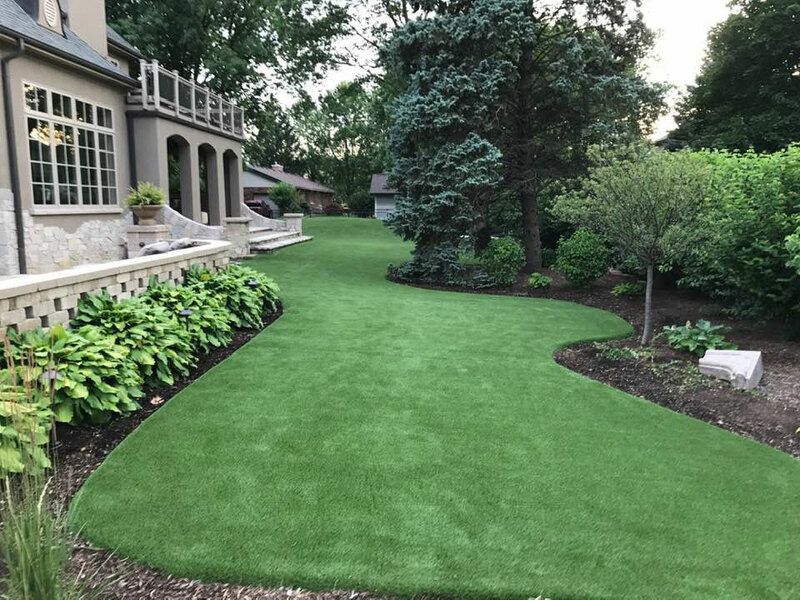 We only use American-made products and give you exclusive access to the strongest warranty in the business, selling our turf to homeowners and contractors throughout the Chicago area. Our company has certified installers and provides turn-key installation services. Artificial lawn materials are labor intensive to install because it needs to be secured over a firm base of compacted stone. Save yourself time and money by having our expert artificial turf installers in Chicago handle this for you. If you’re ready to make the switch to an easier lawn lifestyle, request your free consultation with Synthetic Turf of Illinois online or by phone at 773-457-3301.